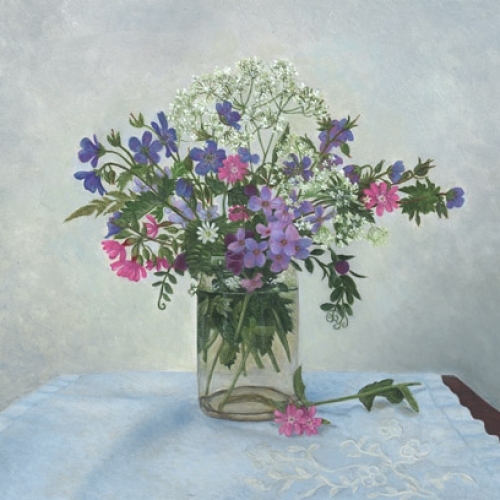 Rebecca was born in 1968 in Cumbria. 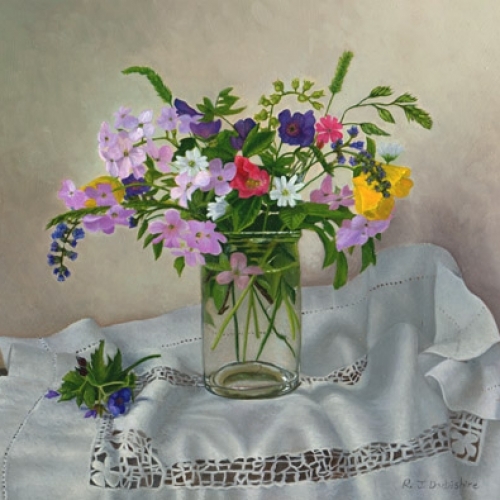 Her fascination for wild flowers found on the fells, in meadows and hedgerows, began as a child walking home from the village school. 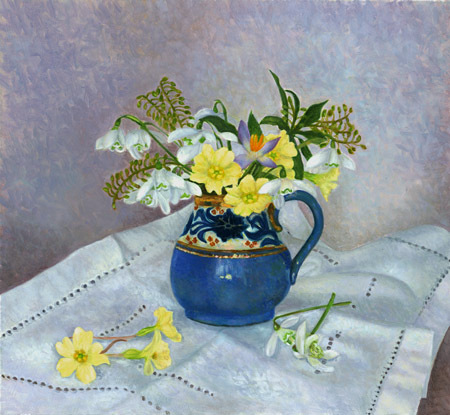 During her twenties she studied fine art finishes in London which lead to commissions in both furniture, paintings and interiors. 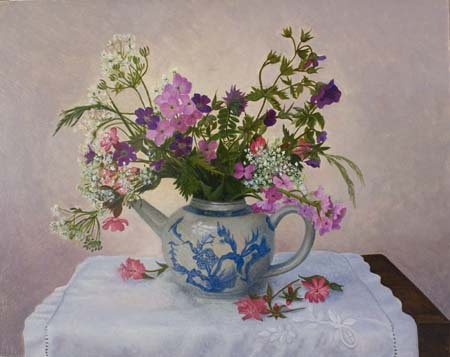 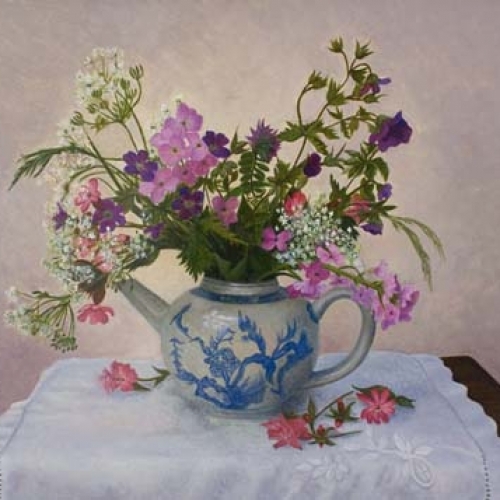 When she returned in 2001 to live in the Lake District with her two children, she began to work alongside her father, Stephen Darbishire, in their studio. 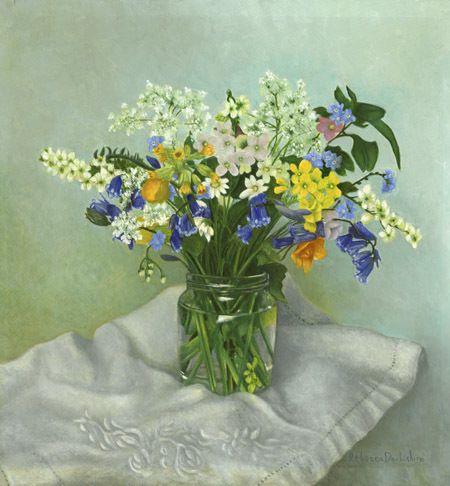 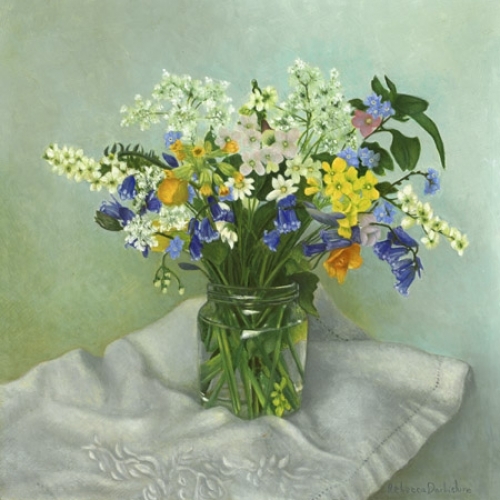 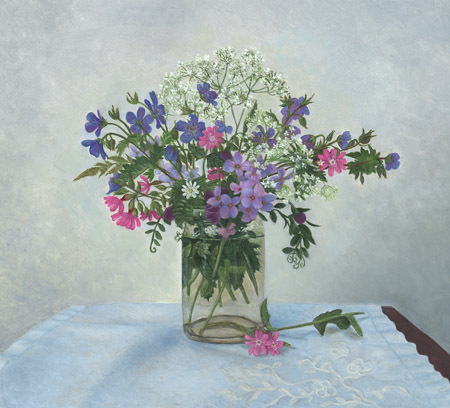 Rebecca’s oil paintings of English wild flowers arranged in collected jars, vases and glass placed on vintage table cloths, are both delicate and intricate. 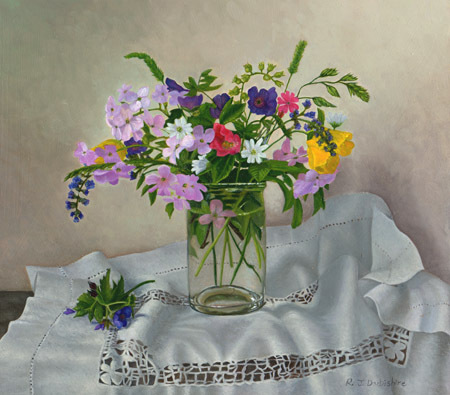 Her passion for colour and composition exists in harmony creating a sense of past and present. 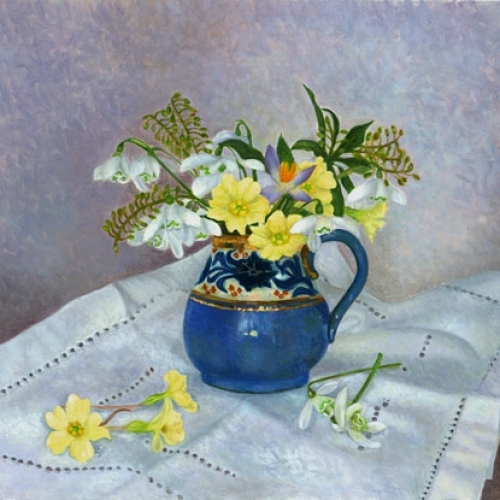 Her paintings have been exhibited in the Marylebone Gallery, London, Beckstones Art Gallery, Nr Penrith and the Lake Artists Society, and can be found in private collections throughout the world.